Apple seems to have big names undeniable in the technology industry. However, about what makes them by now? When speaking at the University of Cambridge, VP of Product Marketing for your iPhone, iPod, and Apple's IOS, Greg Joswiak try a little reveal 4 key to the success of the Apple retained until now. Products issued by Apple for this is less diverse than its competitors. See, their smartphone products. walking alone to challenge the iPhone product line on the market. But this is precisely the strength of Apple, because they can focus work on the iPhone. Starting from the setting up of technology and its features, to the ecosystem around it. "We're just doing a few things at Apple. But from some of these products, our revenue could be up to USD 100 billion. If you share too much attention to many things, there would be none of them are going to be phenomenal," said Joswiak, quoted of Mactrast, Tuesday (22/11/2011). According to Joswiak, Apple is trying to focus on the 'big picture' how to make a memorable experience to the user. They just disregard how the technical specifications of the product later. Sensation to the user experience is also trying packed with simple, practical alias created but has magical power. "When you start to build something, then he will quickly become complex. But if you're already familiar with your product and what the problem, then you can make things complicated it becomes simple," he said. Do not be 'imprisoned' with what's already there. That's roughly the message to be conveyed Joswiak. It relates how a vendor is required to continue to innovate break through the boundaries of people think. According to Joswiak, courage is very influential factor in decision-making in the business world. "Do not rely on ideas from the past, including if they have been proven successful. You do not make a product just because someone else has had it," he added. Apple's perfectionist nature which has no founder, Steve Jobs, seems to have been successfully passed down to the work culture in the gadget maker phenomenal iPod, iPhone and the iPad. The reason, Apple thinks will not go into a particular line of business if they can not be the best in them. Of course, the extra effort needed to become the best hunting is. "At Apple, if we can not be the best in that segment, then we are not interested to enter it," said Joswiak. Yes, that's four working principles Joswiak said Apple has always held up to now. Okay, Apple should be proud, because the products output current has always been a phenomenon. Still, Apple's products also had to taste failure. Already more than a week of digital music services popping up. First Match Apple released iTunes as digital music service, followed by Google Music, and the latest Amazon Cloud Player (digital music service that is integrated with Kindle Fire). The three main competitors of digital music storage service offering similar products and also have the same mission, in which all three try to allow users to buy the latest music and access to existing digital library from multiple devices, via cloud computing. Google Music provides cost free for all its consumer, this includes access to the web, desktop and mobile. But Google's wearing a limit on the library as much as 20 thousand songs. While iTunes Match charge USD24, 99 per year. The fee can be used to download 25 thousand songs, but this cost does not include the purchase of iTunes. While the Amazon Cloud Player to upload when users download songs for free up to 5GB. More than that, Amazon charges $ 20 per year, but Amazon provides the storage capacity of music that is not limited. Conclusion: Google Music is superior among the three because it is free. But the cost of USD20 from Amazon seems to be very attractive given kapasistasnya unlimited. iTunes Music Store is the first service since 2003. In five years, iTunes has become the largest music retailer in the United States (U.S.). iTunes also search and purchasing process to offering music on the internet the easiest. Amazon has a section of its website devoted to the purchase of MP3, but the search and purchase process is still hampered by issues of accessibility. While Google Music has a clean layout such as iTunes. However, purchase songs and albums are not grouped into one. Conclusion: iTunes is the fastest application that is used to muncari and find songs to minimize hassle when purchasing music. Match iTunes that charge USD24, 99 per year, also allocate it to match the existing tracks in the library penguna with songs in its database. If a match is found, then the user does not need to upload them. 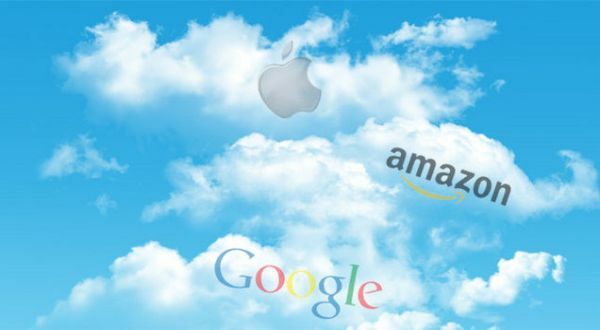 Amazon and Google provides the means to upload files. Where both teruntegrasi directly with iTunes to monitor a folder, for uploading a new song. Conclusion: iTunes is one system that is really easy digunakan.Dan second place there is the Amazon is the better choice in menguduh and upload songs than Google Music. Listening to music does not have at home, with the presence of all three of these applications to make access easier to the mobile version of the music downloaded. Mobile solutions from Apple was the best. List of music can disingkronisasikan on all IOS devices, like iPhone, iPad, iPad and Apple TV. While Amazon a bit easier by providing mobile applications for Android and the iPad. Although now not in the App Store, application aMusic seems intended for IOS users to access the Amazon Cloud Player. 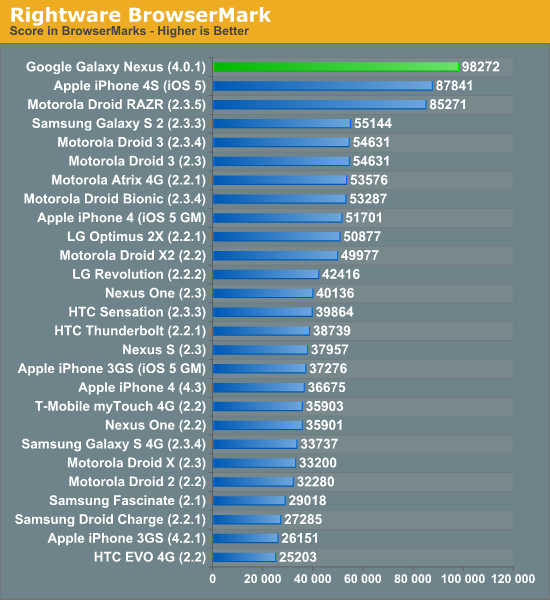 Google deserves praise, because his music is not only compatible applications for Android, but also with other browsers such as the IOS that uses HTML5 support. GMusic application is one of the best options for IOS users. Conclusion: Google, as it offers cross-platform friendly service. Overall all storage platforms have advantages and disadvantages of each. For users of IOS, of course iTunes pengalamam Match offers the best user. For users of Android, Google Music definitely gives a lot of flexibility for mobile devices. While Amazon offers a large storage to buy and download MP3, but not fully take advantage of cloud computing as well. 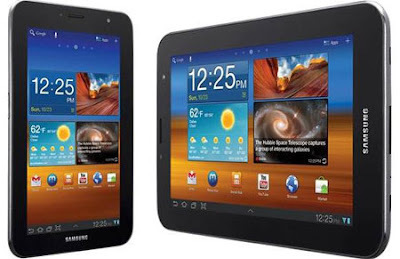 As the latest tablet from Samsung, Galaxy Tab 7.0 Plus it brings many new technologies, but there are some elements that still need to be increased again by the South Korean vendors. 1. As a portable device, the Galaxy Tab 7.0 and Mini Plus does look thinner, and lighter. It is a pioneer of tablets that can be grasped only with one hand because the screen using size 7 inches. 2. The technology has to offer is better than the Samsung 7-inch tablet the previous version. Starting from the Android operating system is now upgraded to Honeycomb 3.2, dual-core processor 1.2 GHz, equipped with Adobe Flash web browsing and blazing fast HSPA connectivity that supports speeds three times faster than conventional HSPA connection. 3. Can be used to make phone calls and video calls without using a handsfree or headset. 4. Full HD video with DivX & Multi Codec support that makes the tablet can read the format for all types of video files and images. 5. Using Social Hub application that integrates your contacts, calendar, email and instant messaging, social networks and connections in a single interface. While the Hub Reader application presents content such as e-reading e-books, newspapers and magazines. 1. Display used by the Galaxy Tab Plus 7.0 is a 7 inch WSVGA screen with 1024 x 600. Place with the lighting was like in the room does look nice and clear. However, when outside the room and get a very high sun, the glare screen, and is not seen clearly or vaguely. 2. From the side of the camera, this tablet uses 3MP AF camera with LED flash features. For indoor low lighting though, Galaxy Tab Plus 7.0 can capture images with clarity, and color that almost exactly to the original sma. Unlike the case if the camera is used in low light outdoors. Although already use Flash but still dark and the image produced less than the maximum. Samsung might need to increase the capacity of the camera. 3. 7-inch screen looks less satisfied in enjoying the entertainment offered by the Galaxy Tab 7.0 Plus, like Full HD video, gaming and Internet browsing. 4. In terms of cashing look less than perfect because it is still made of plastic so a bit slippery when grasped. Unlike when using cashing fired rubber-coated metal, making it more comfortable when in the handheld. 5. For the price still can not be predicted exactly, just under $ 6 million estimate. Price alone can only be known when lounching its debut on November 5, 2011. 6. Although it could be used to call directly without using a handsfree, it may be awkward to use because it looks very big if it is intended as mobile devices. But it's all just a matter of habit people to use it. 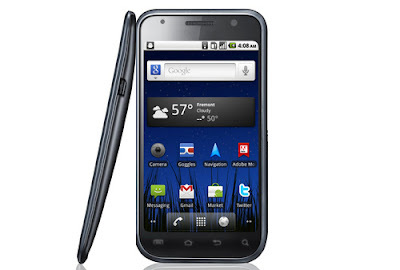 Samsung Galaxy Nexus was launched in the UK on 17 November and some users began to complain of some software problems (bugs) that affect the sophistication of Ice Cream Sandwich's first mobile phone in the world. The biggest complaint was reported on xda-developer forum, which is labeled as "SAV-Ghost 'or known as' Self Aware Volume Ghost'. According to the user, device volume can change their own and as if influenced by a ghost. "This morning my phone volume down and I actually see the volume bar which indicates a decrease in volume directly. That's happened twice. When going for a second time, I tried pressing the phone, this may be related to RAM? This is the first time I moved six times from 400MB avi file from one folder to another by using the application manager and listen to MP3 files at the same time, "said Jonnyguitar one of the users, as quoted by Pocket-lint, Tuesday (22/11/2011). "Does anyone have a SAV Ghost, who played with volume in the middle of the call and the user refuses to change it again? But it happened because the volume of the lower right is not dead, and this is quite annoying," he continued in the forums. Other problems reported by users on Twitter and forums on the web is the lack of Flash support for playing videos. 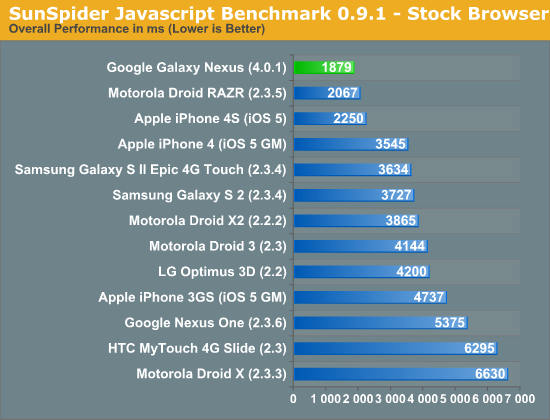 Google admitted Flash support will only come after the mobile version of the Adobe update to Android 4.0. In addition, users complained that the British could not install the BBC iPlayer application on the Android Market as well. Not usually in the process of downloading this application, perhaps because the application is not approved as an application in Ice Cream Sandwich. 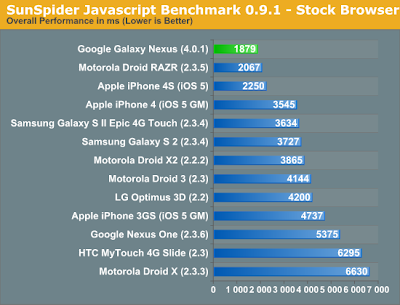 "I was the first person in the world who have the Galaxy Nexus, but unfortunately this phone does not work very well. I can not sign into account Gmain and no other Google applications that appear, even as the Market," said Alex Ioannou, one of the users. Phone 4U which is the exclusive partner in selling the phone in the UK state has not received a complaint as described above. Galaxy Nexus vs iPhone 4S, Where More Great? 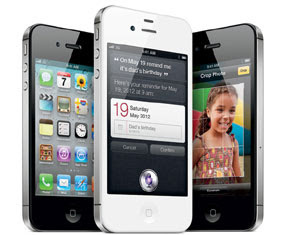 Galaxy Nexus and iPhone 4S can be said to be the most advanced products from Samsung and Apple. Both were equipped with the latest operating system and features a number of most brand. But which one is more powerful? 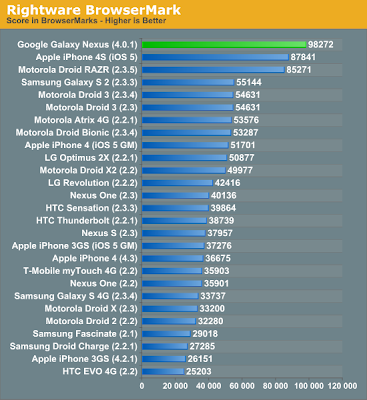 Samsung Galaxy Nexus comes with Android Ice Cream is not yet widely marketed, but the performance of the phone is already on the site Anandtech diumbar complete with a series of trials and compare it with the iPhone 4S. 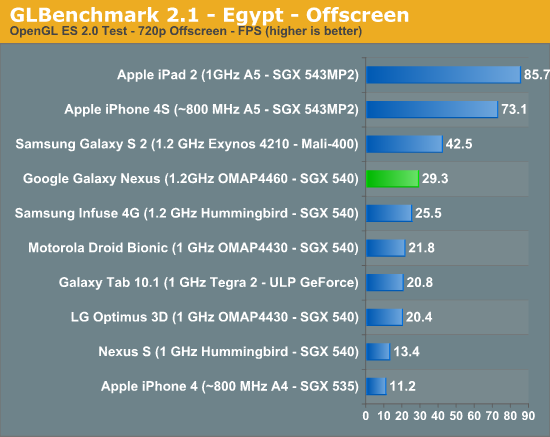 SGX chip 543MP2 (Apple A5) invested in the iPhone 4S was able to defeat all his opponents, not least the Galaxy Nexus.